With all this on his plate, how does Keith Pollard find time to do anything else? You may well ask. The wife does…often. I am the Chairman of Berkhamsted Raiders Community Football Club. 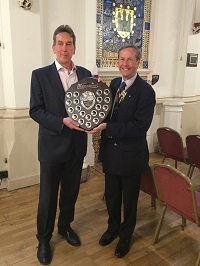 I act as a Special Advisor to the Hertfordshire FA on community football, and in May 2016 received the Civic Award from the Rotary Club of Berkhamsted and Bulbourne for my “meritorious contribution” to the town of Berkhamsted. In 2018/19, Berkhamsted Raiders will be running 85 teams with over 1,100 players from Under 7 to Under 18, including girls teams plus a Ladies Team, a Senior Team, a Futsal team, and Veterans, Walking Football and Inclusive Football sections. Berkhamsted Raiders won the award for the “Herts FA Community Club of the Year” in 2010 and 2012, and 2015, and again in 2017. In 2010, we succeeded in raising £600,000 for a state of the art floodlit 3G artificial grass pitch at BerkoAstro, in partnership with Ashlyns School. A £300,000 grant from the Football Foundation was a key element in our success. In 2012, we raised another £160,000 to finance the development of the Paul Beard Centre, a club house facility adjacent to the 3G pitch. Watch the Football Foundation video about our 3G pitch: Luther Blissett kicks off new 3G pitch in Hertfordshire. View the crossbar challenge video on Youtube, courtesy of our U8 team! We have also created Raiders KnowHow, an online parent and manager guide to the club. I am a supporter of the all conquering (I wish) Tottenham Hotspur FC. Spurs have made it into the Champions League again! Ex-member of Stocks Golf Club. I just don’t have the time nowadays. I play about twice a year, so I don’t really get value out of a golf club membership nowadays. Current handicap – 17. It never gets better, never gets worse. Known as “Mr Steady”.Also, deserve “Bandit of the Year” for the 45 points I racked up on a trip to Le Touquet. Current and past holder of the Le Tookay Invitation Cup, although there has been some unfair criticism of the handicap adjustment system which applies to this event…. It suited me fine. In a previous year, I came very close to winning, after a storming last round in which I nearly made up a ten point deficit on the tournament leader. Playing the wrong ball on the final hole put paid to my hopes. A Van de Velde moment. Member of winning team in the Cape Town International Cup 2006. 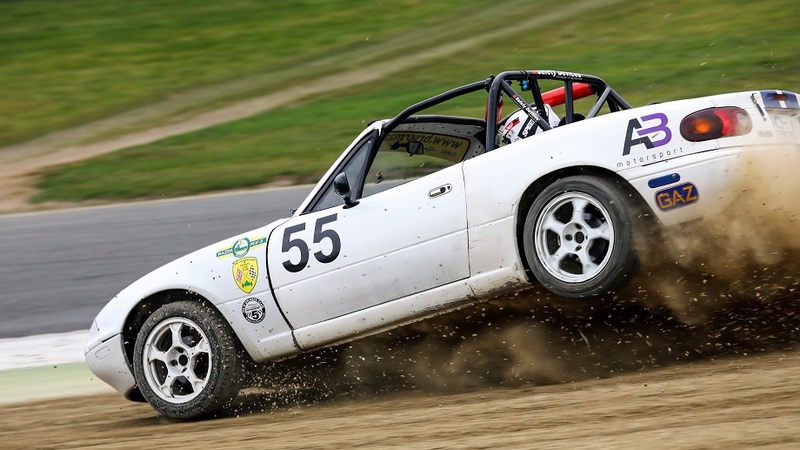 I am the “Motorsport Director” for Matt Pollard, “an aspiring racing driver with a greed for speed” who competes in the BRSCC Mazda MX-5 Championship, So bang goes the retirement fund… find out what does it cost to compete in the BRSCC to see why!